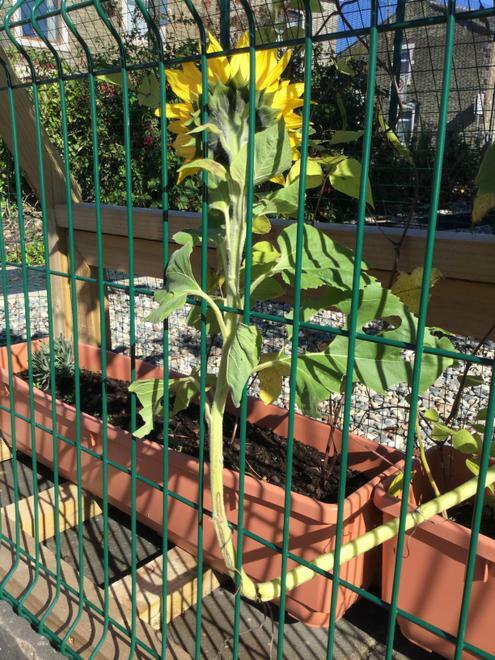 Sudell sunflowers have a mind of their own! 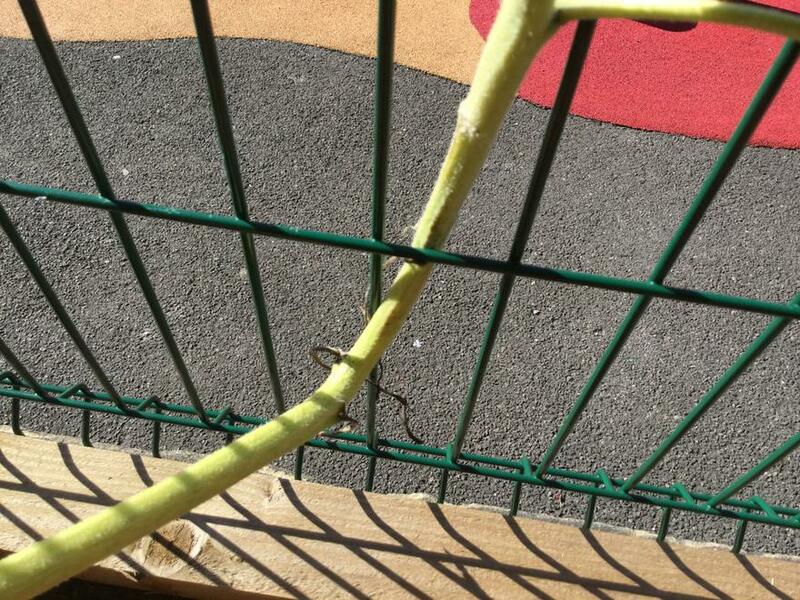 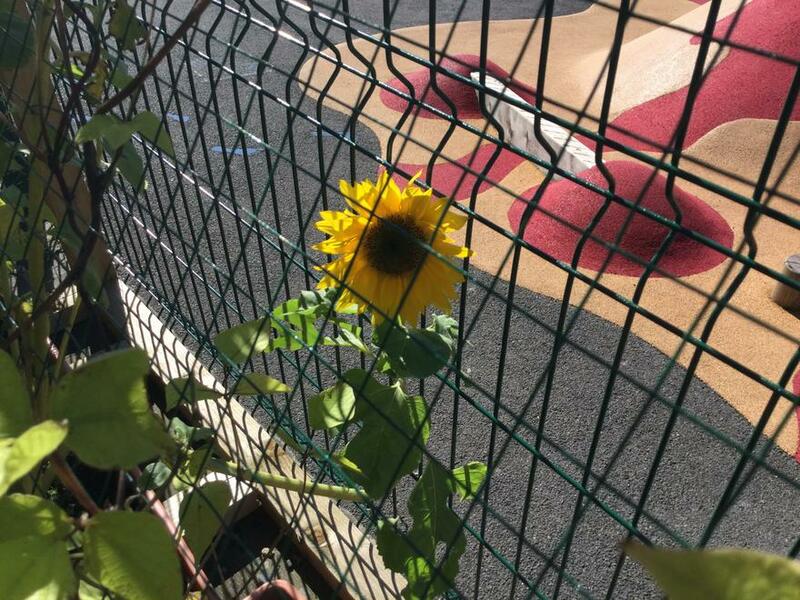 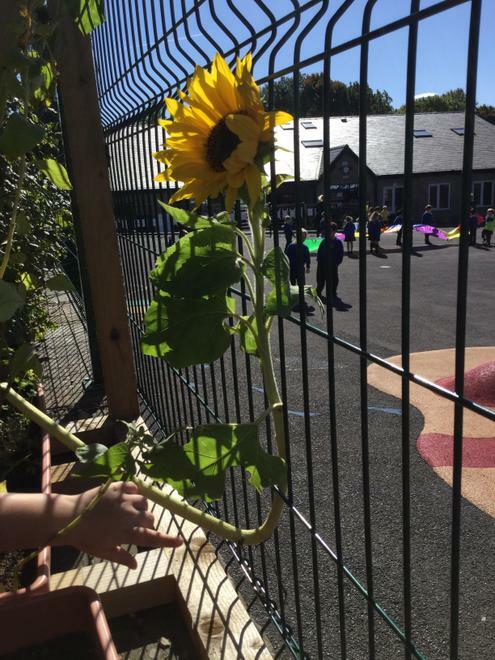 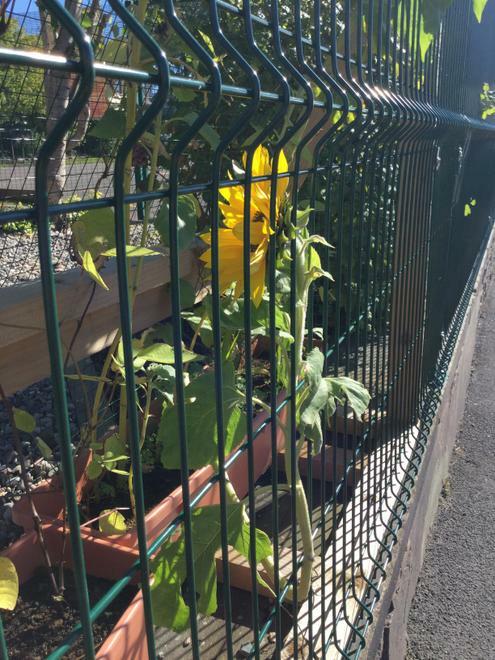 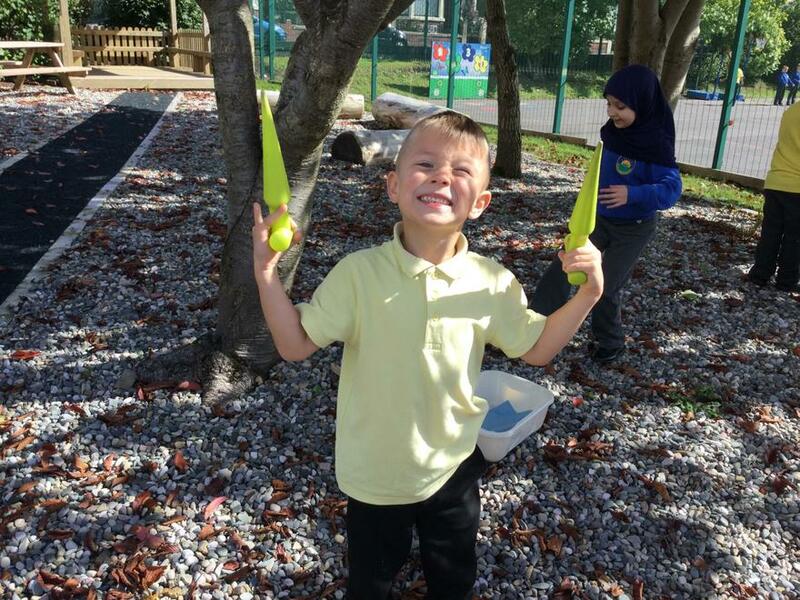 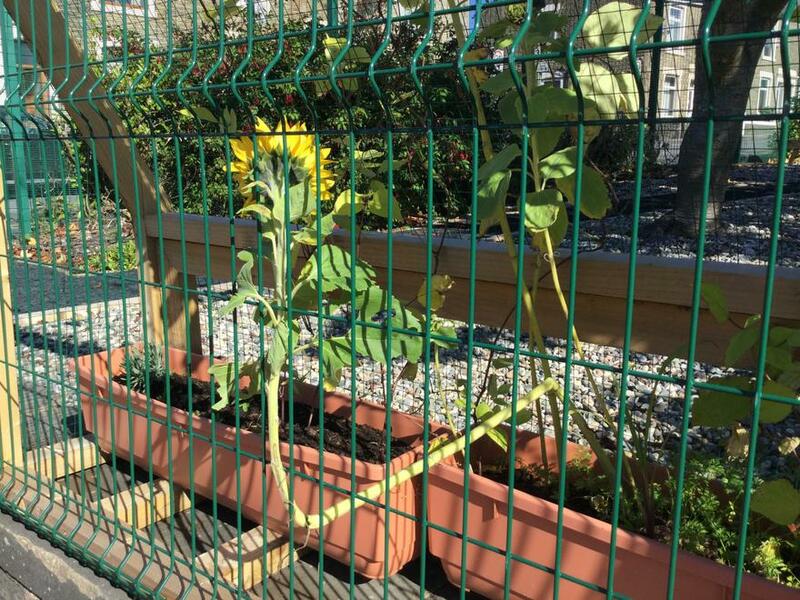 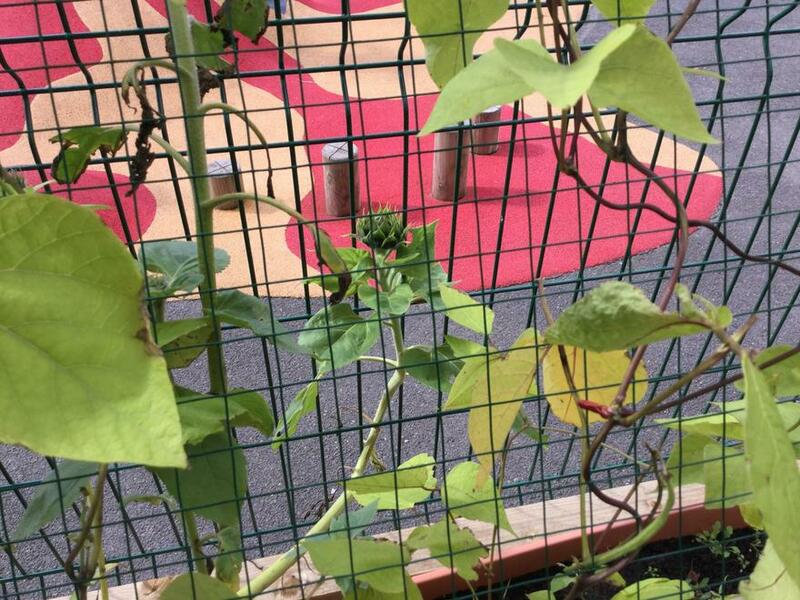 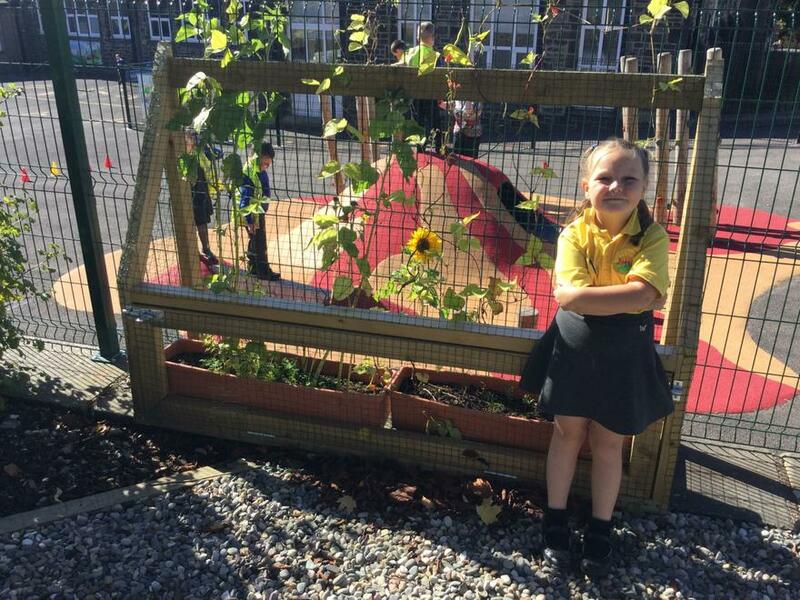 This sunflower is demonstrating several of our Aldridge Attributes: problem solving, determination and creativity! 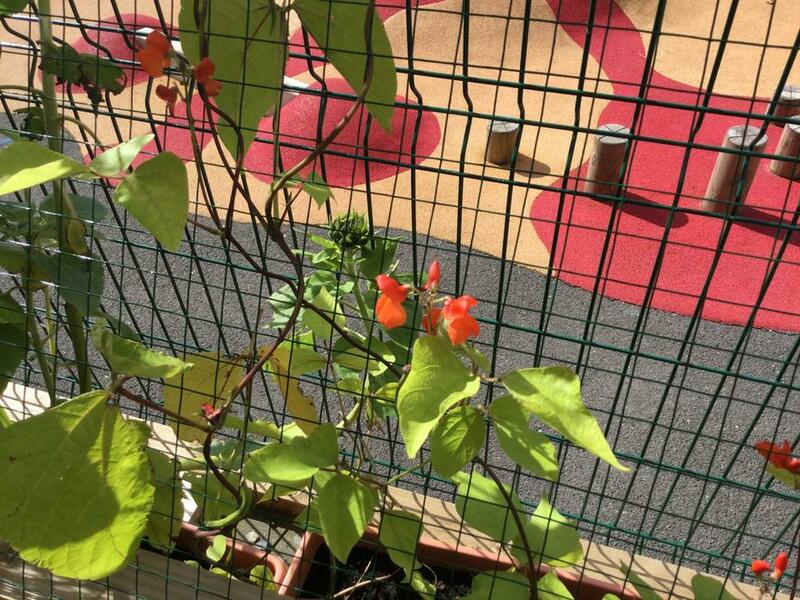 In May 2018 Mr Grendall, our site supervisor, very kindly constructed a special wire-netting 'greenhouse' to protect our plants from vandalism and the local cats. 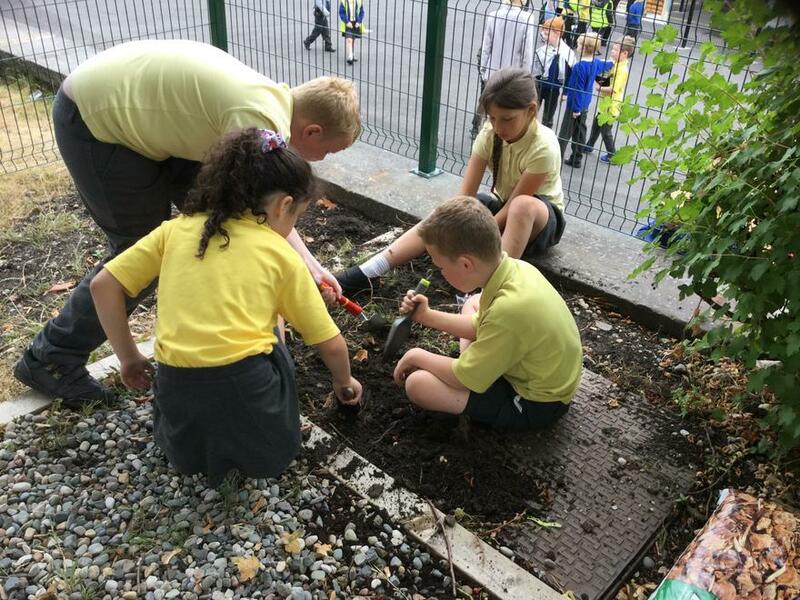 Members of the Eco Committee then planted lavender, carrots, runner beans and sunflowers. 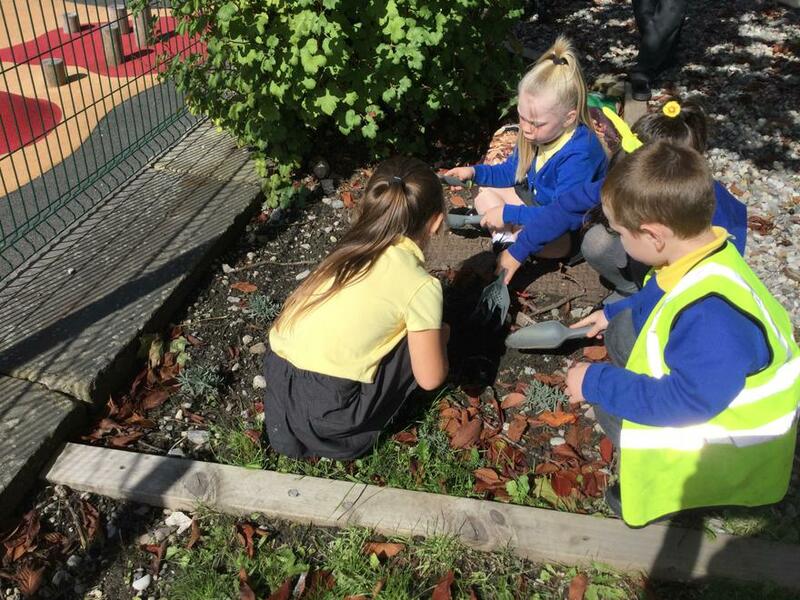 Garden maintenance! 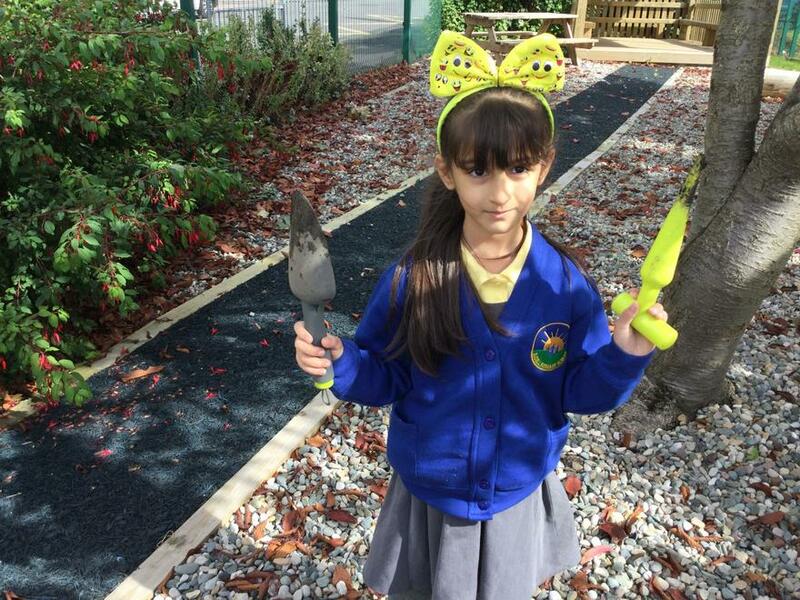 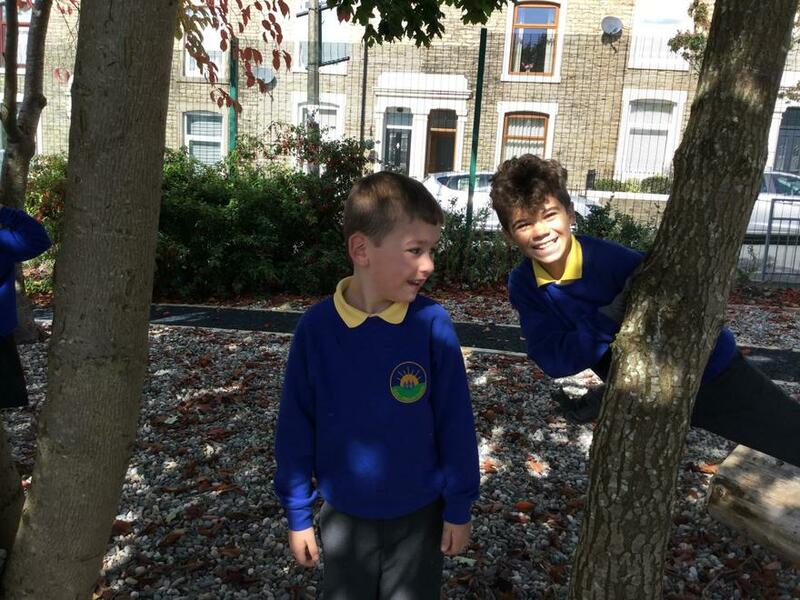 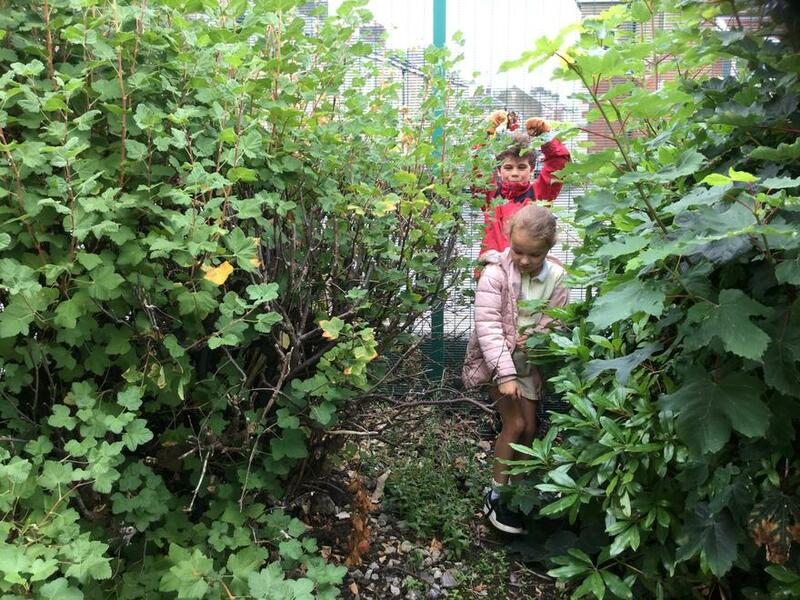 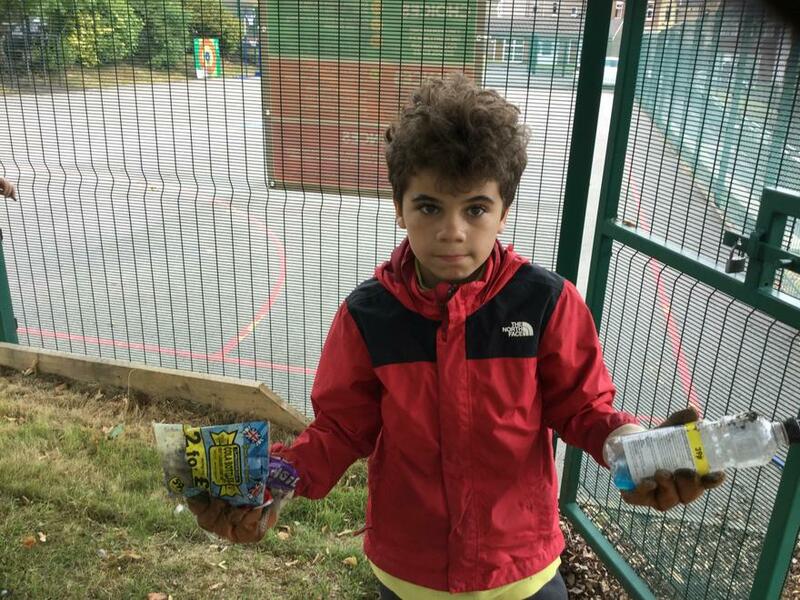 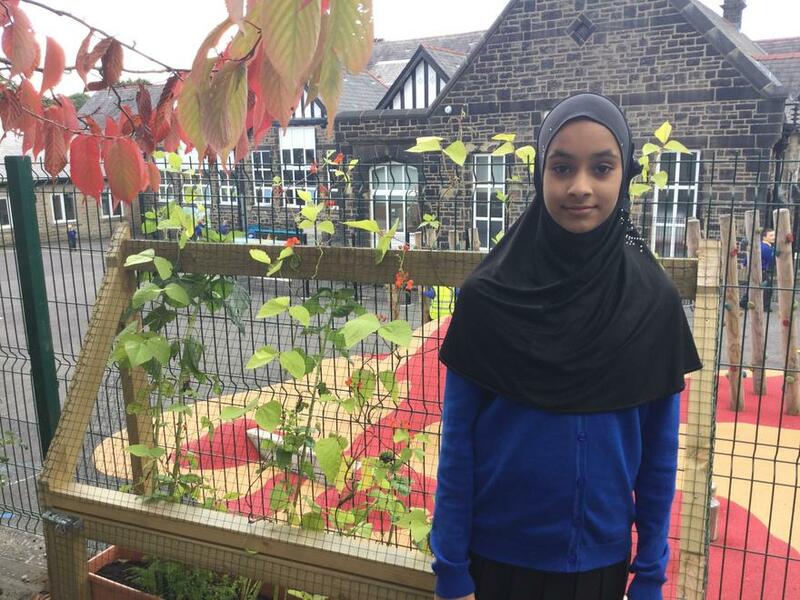 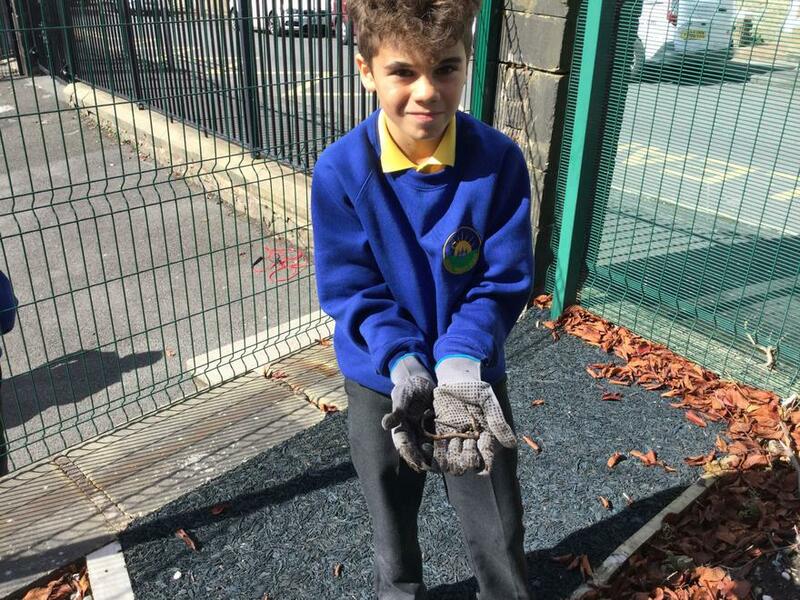 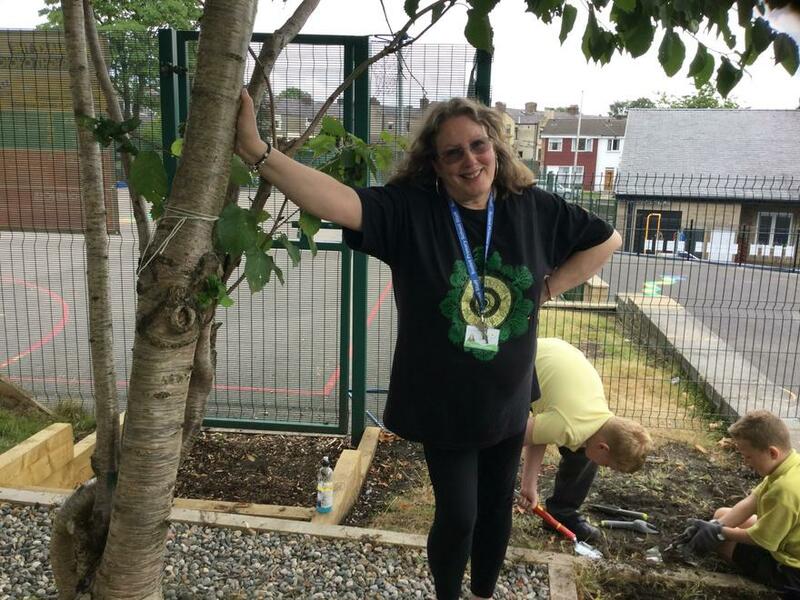 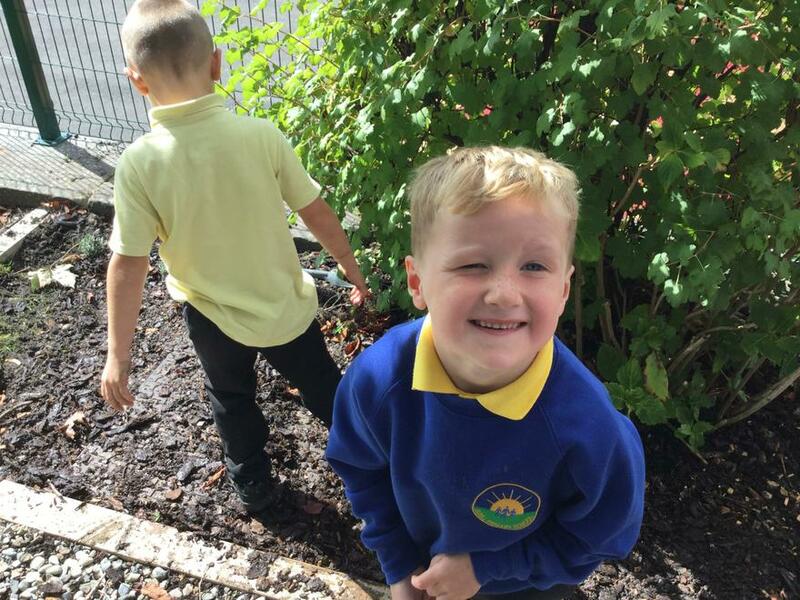 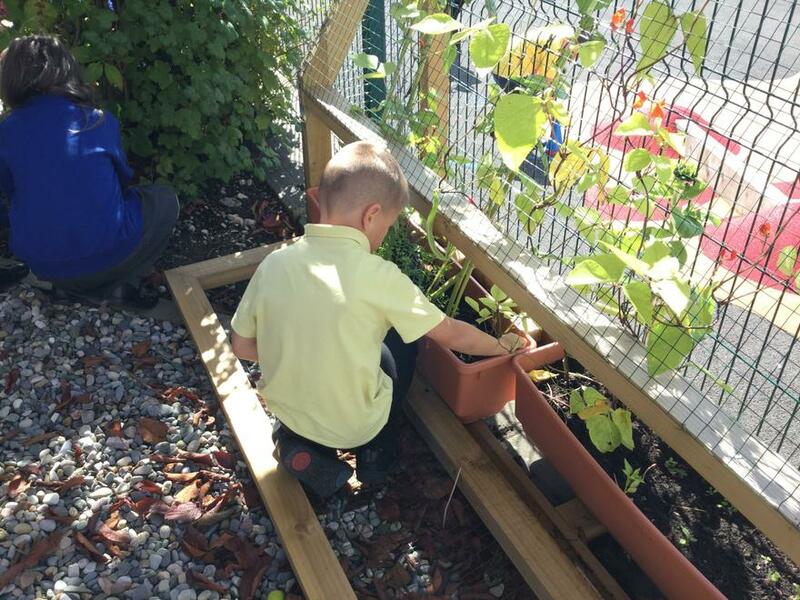 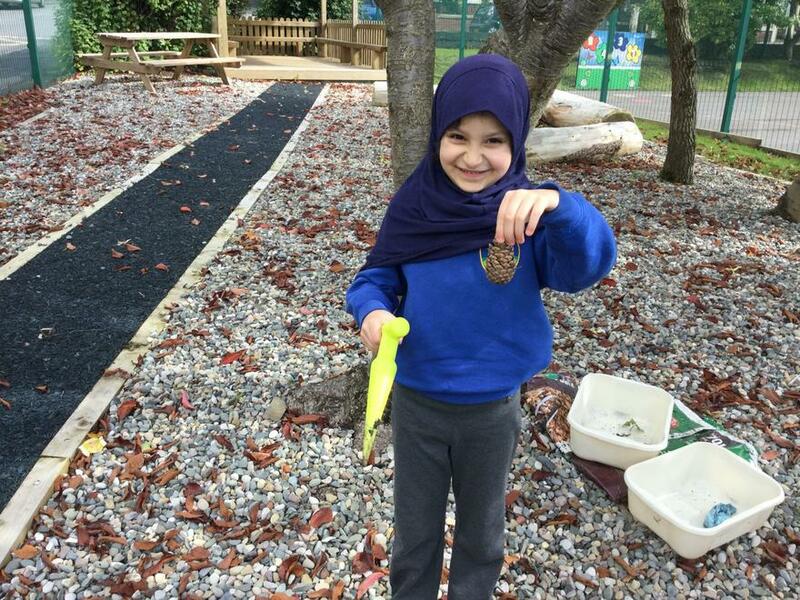 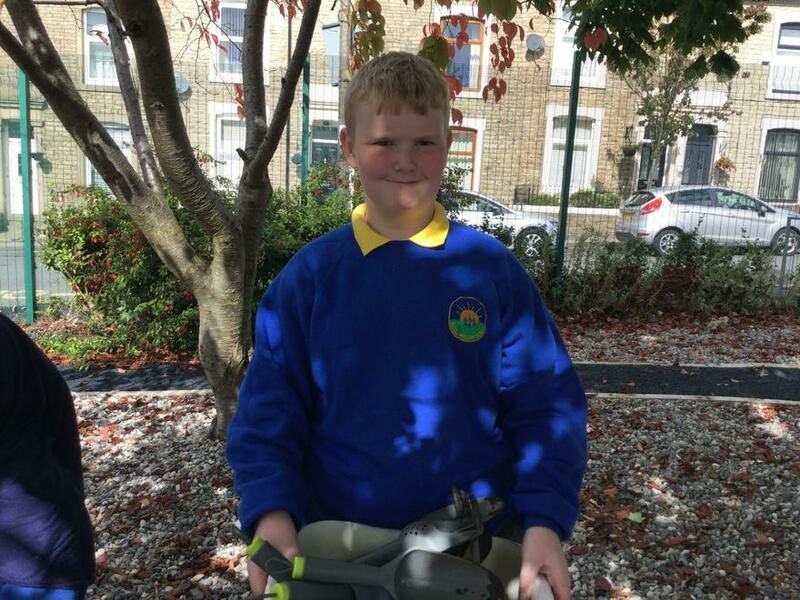 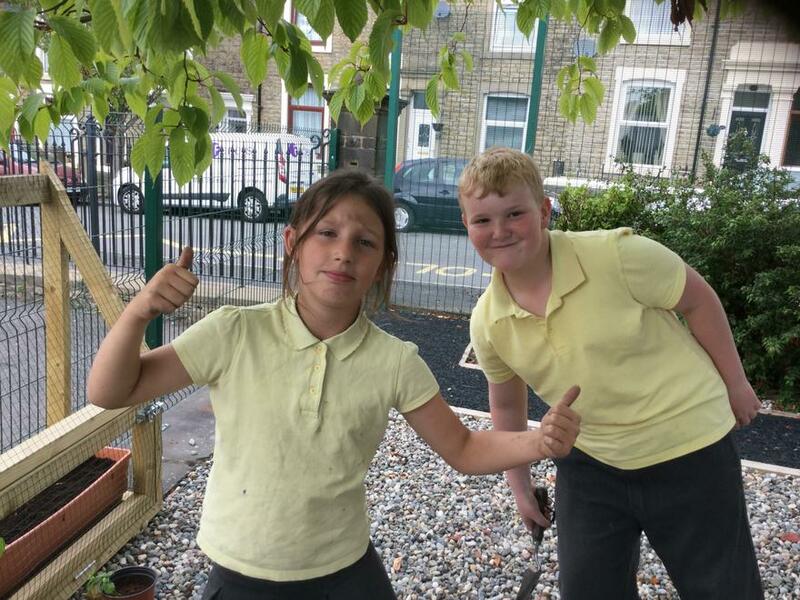 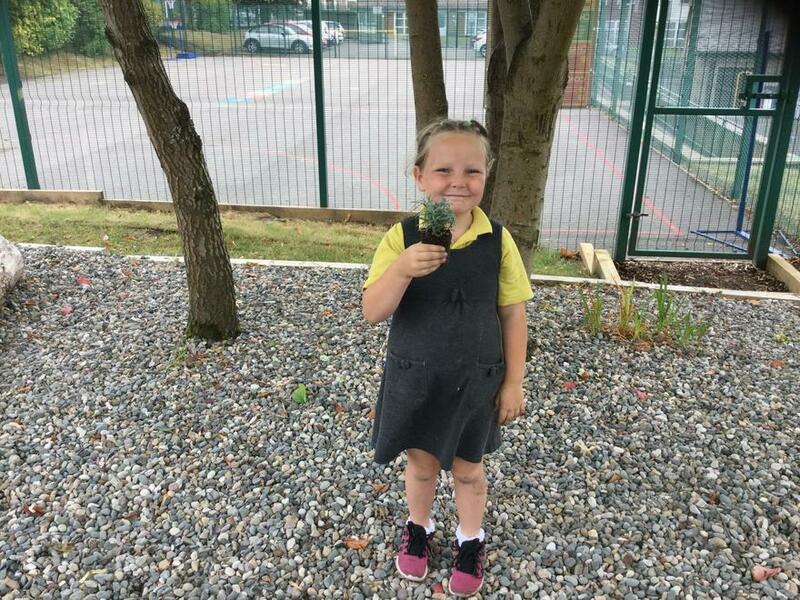 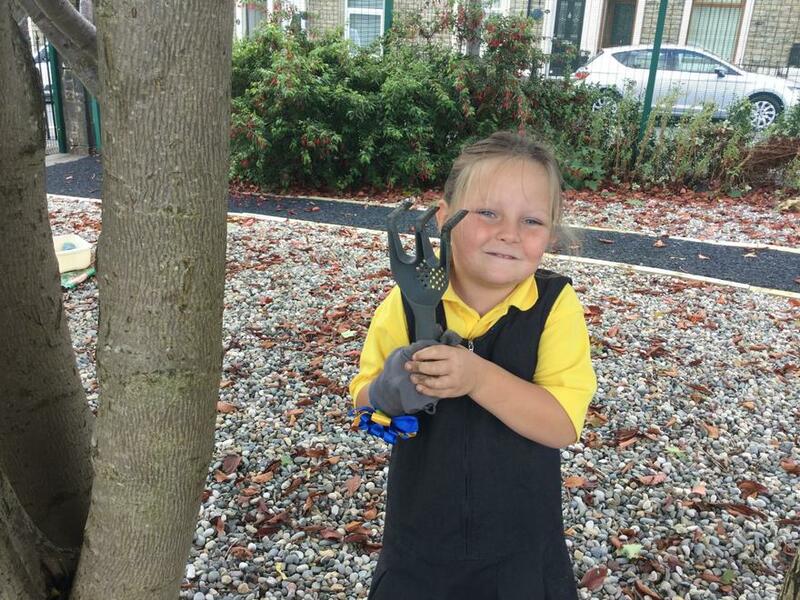 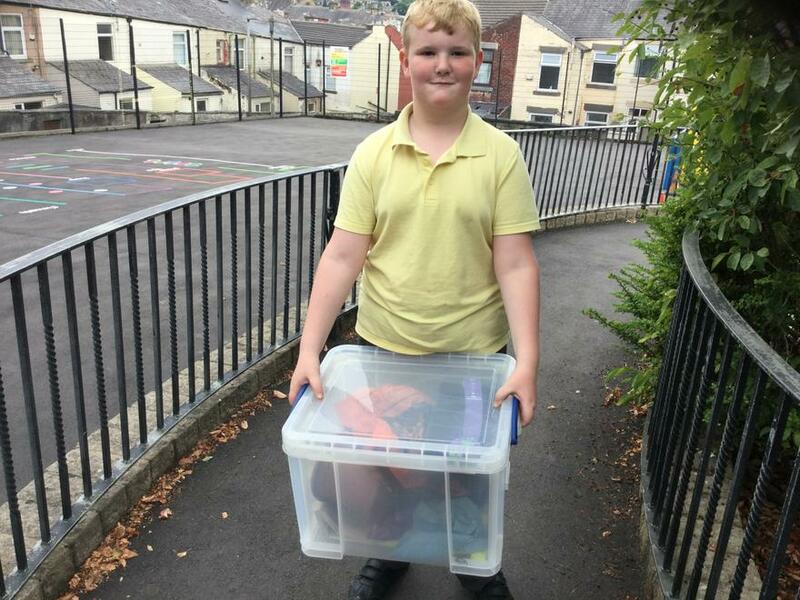 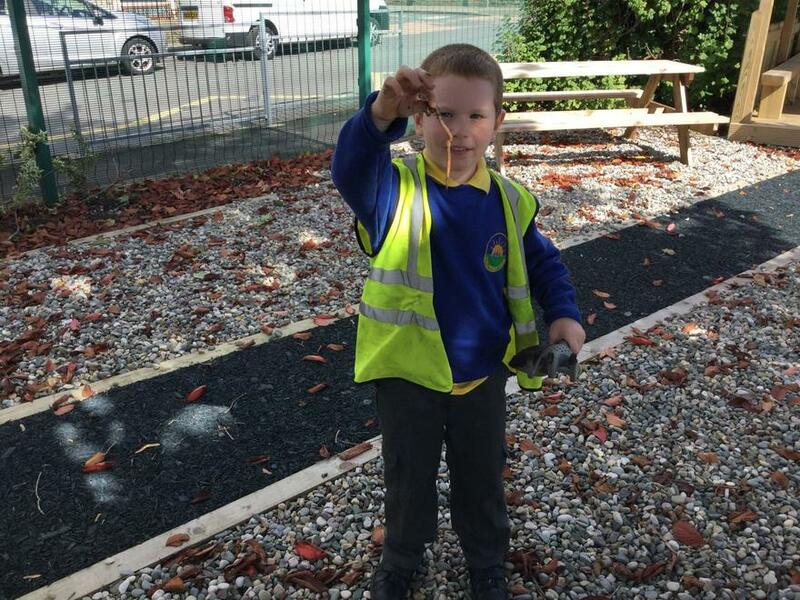 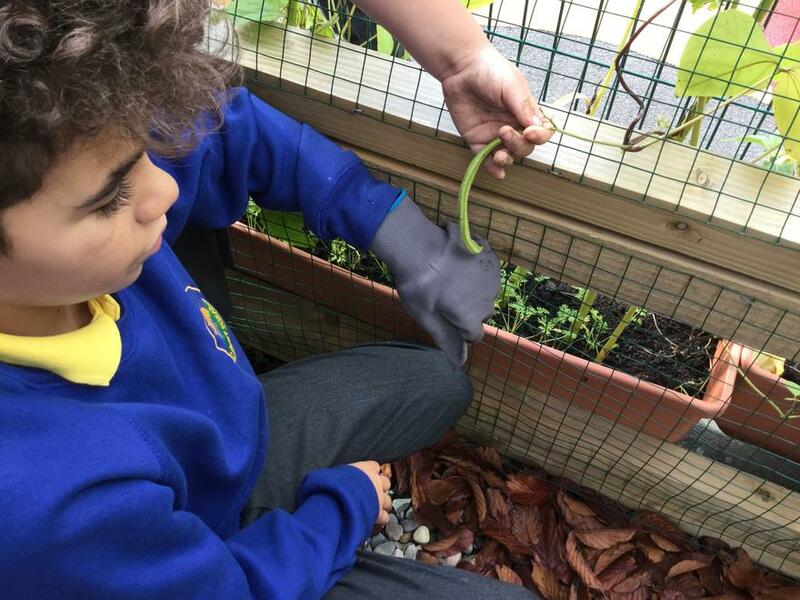 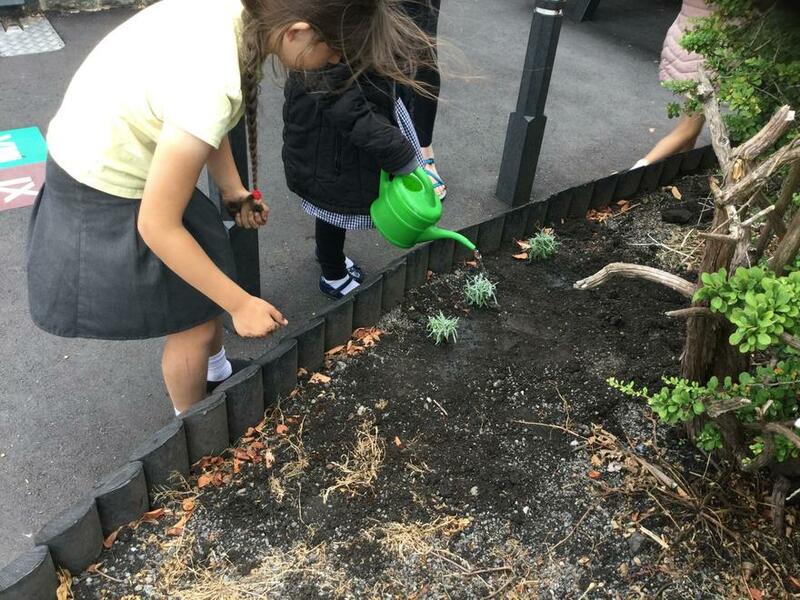 In September 2018, members of the Eco Committee and newly formed Eco Club joined forces to tidy the Peace Garden: they collected litter; weeded the lavender patch; checked on the progress of the carrots, runner beans and sunflowers; and rescued some worms! 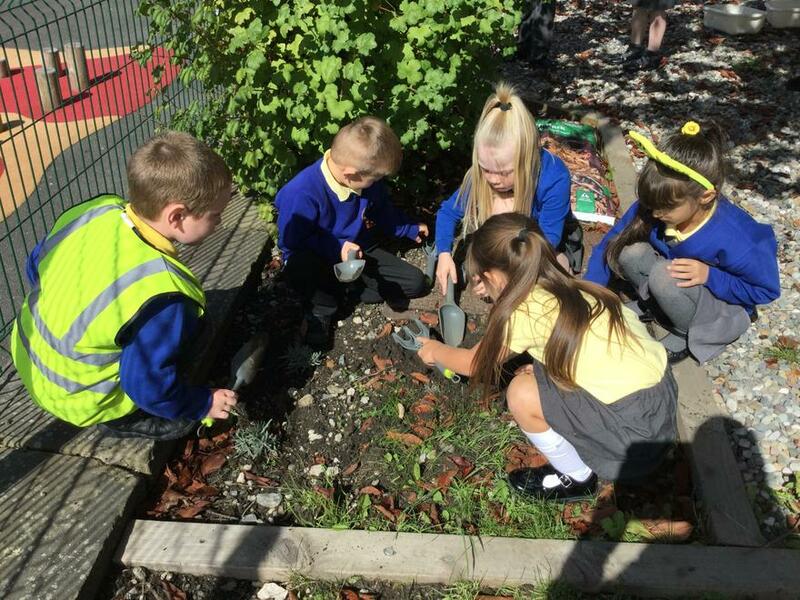 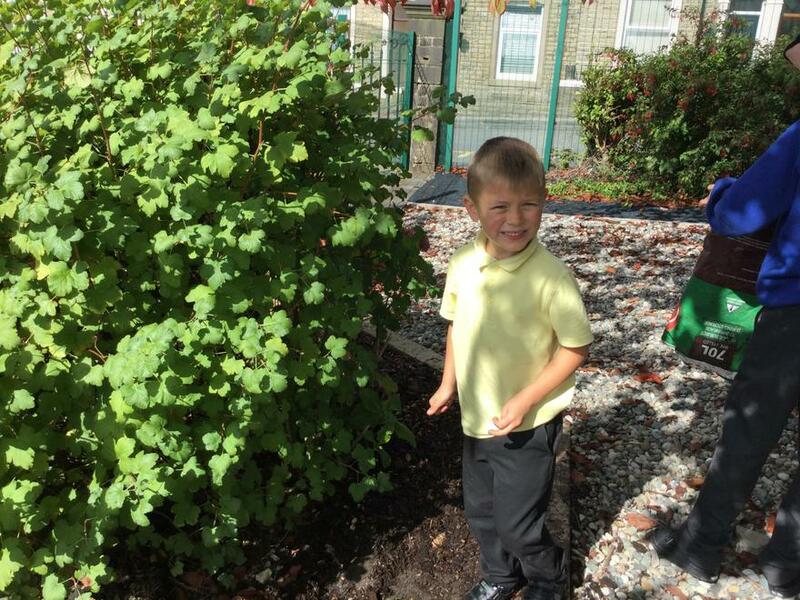 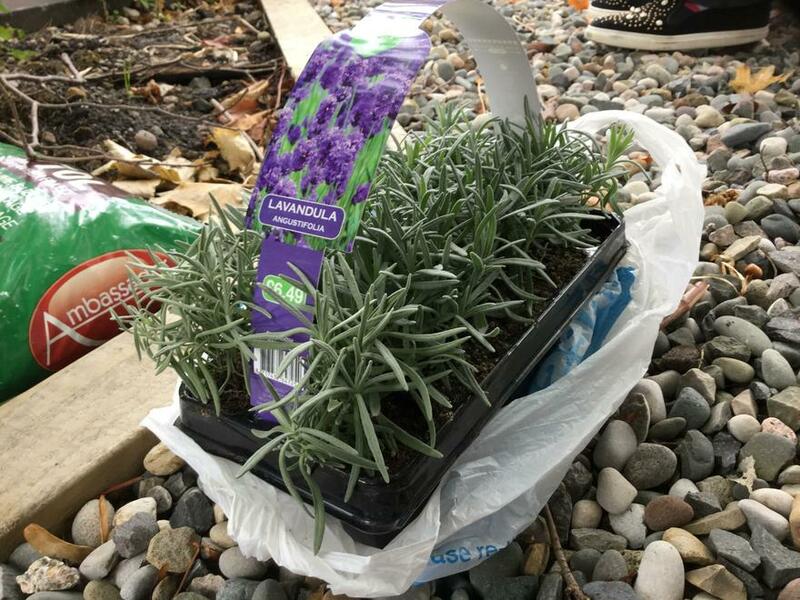 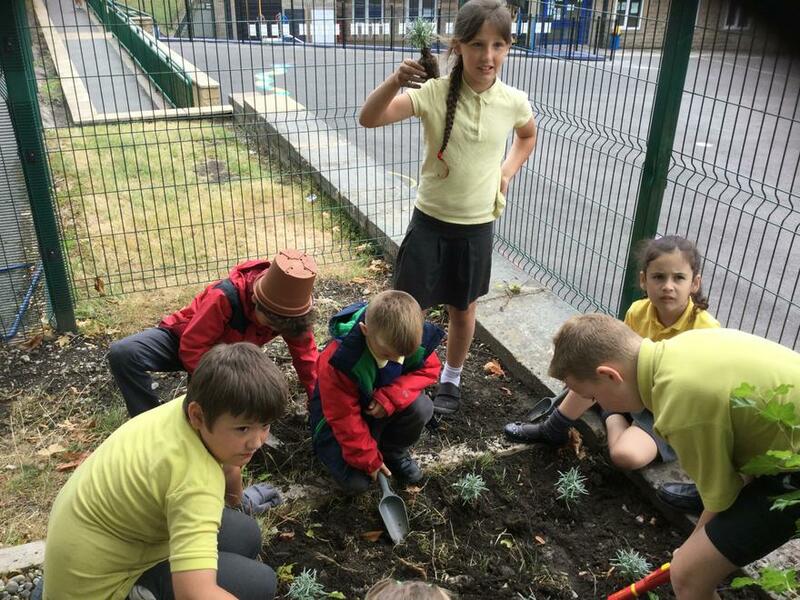 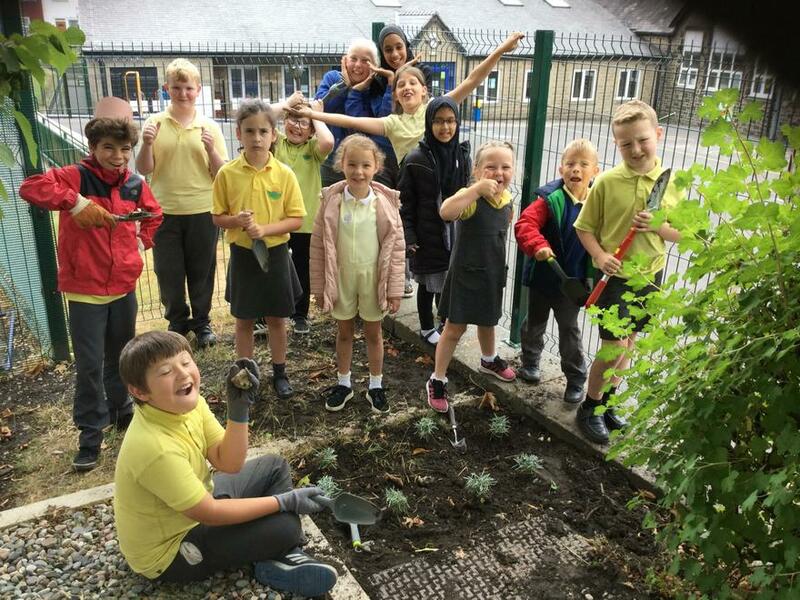 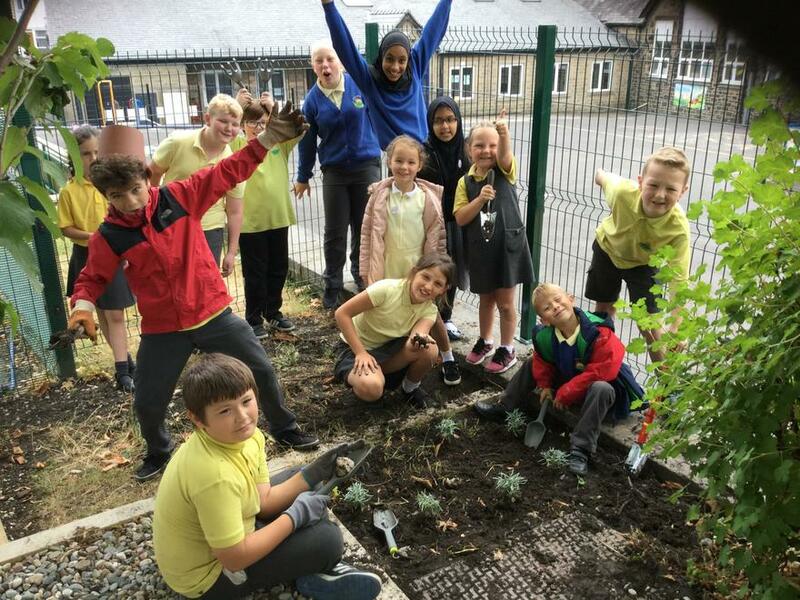 Members of the Eco Committee worked as a team in July 2018, planting lavender in the school gardens. 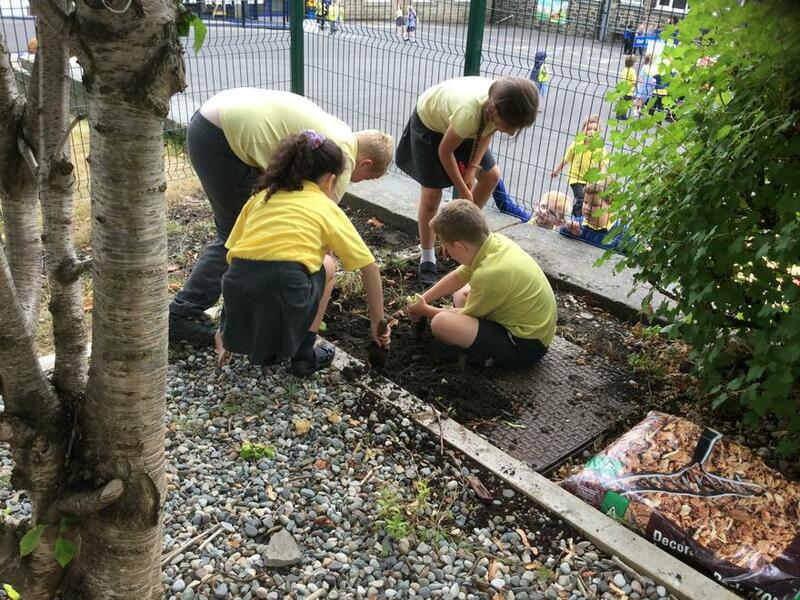 We needed lots of passion and determination because it was very difficult digging the hard soil! 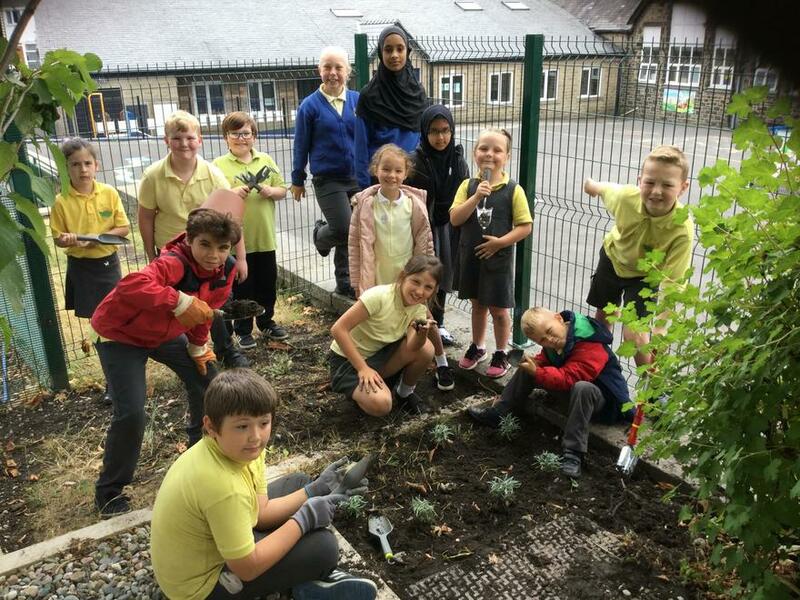 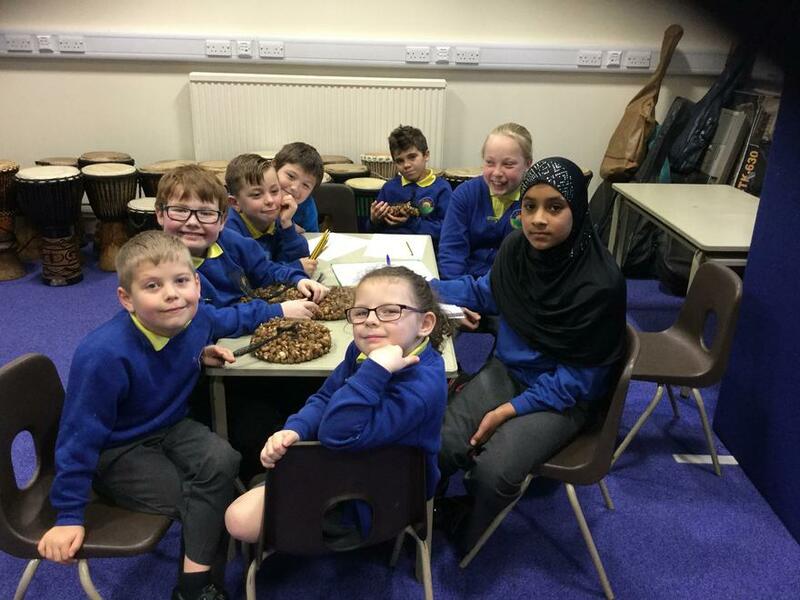 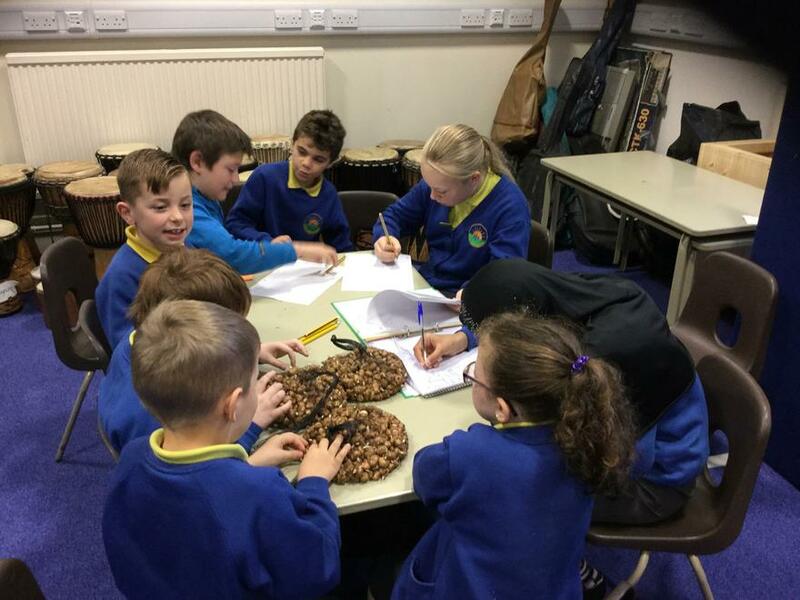 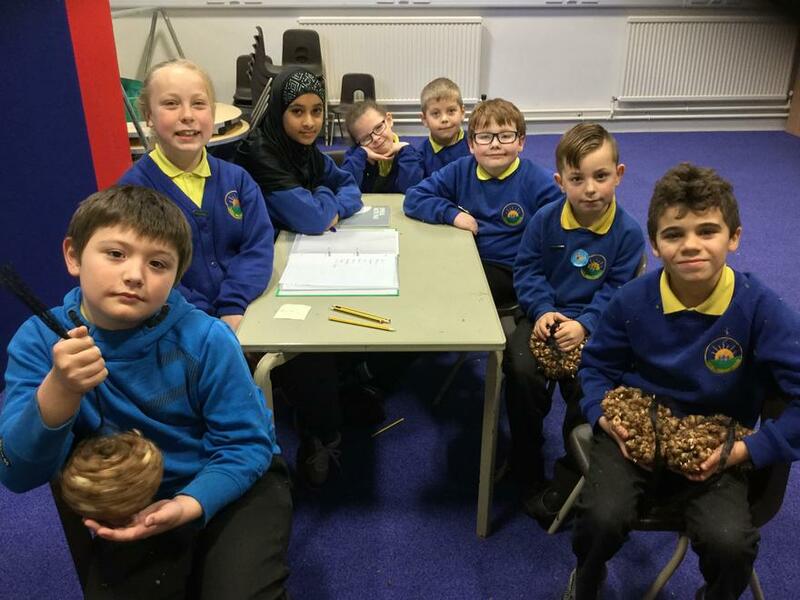 A meeting of the Eco Committee in November 2017: planning a planting day and writing a letter to Darwen Rotary Club to thank them for very kindly donating lots of crocus bulbs to our school. 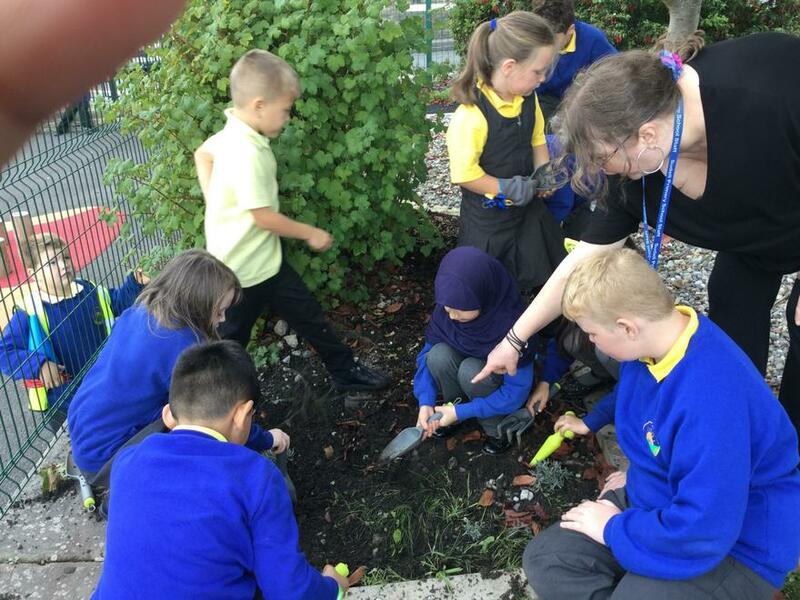 In Autumn 2017, Darwen Rotary Club kindly donated lots of crocus bulbs to our school. 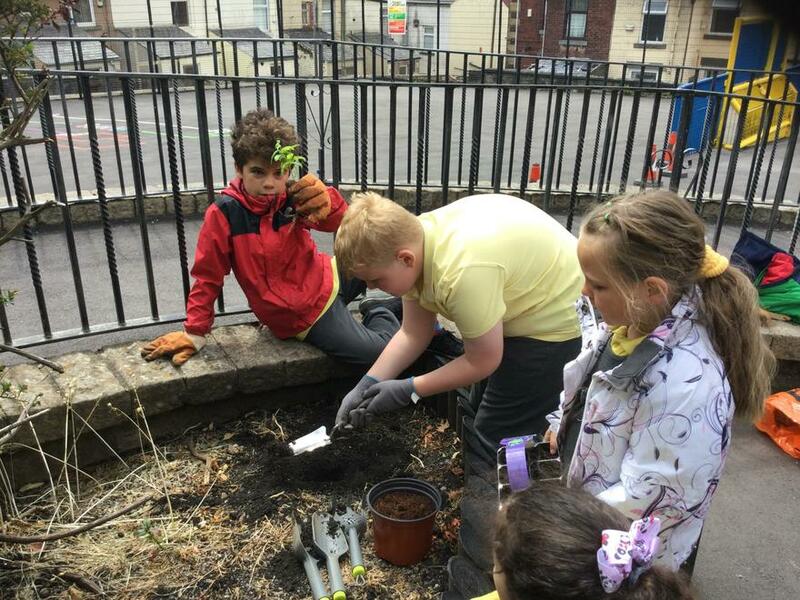 Our newly formed Eco Committee organised a Spring Bulb Planting Day! 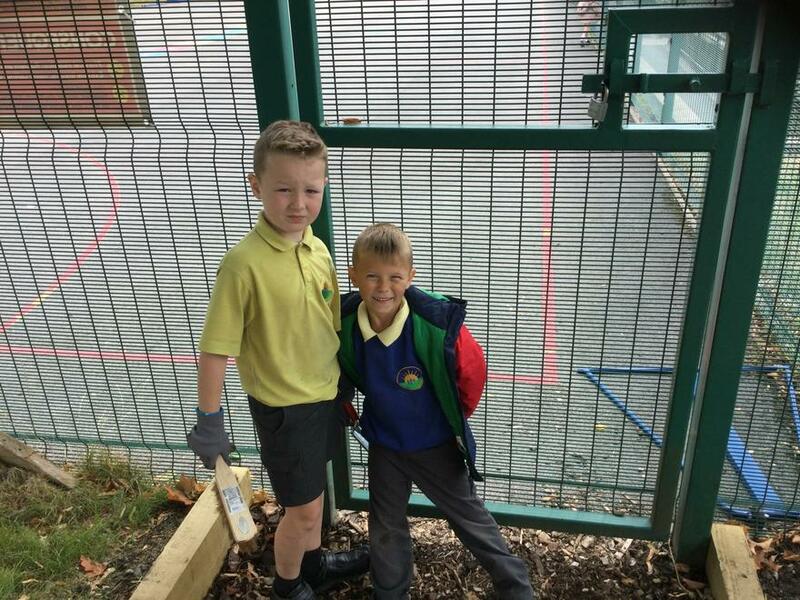 All the children in Yr1 - Yr6 got involved. 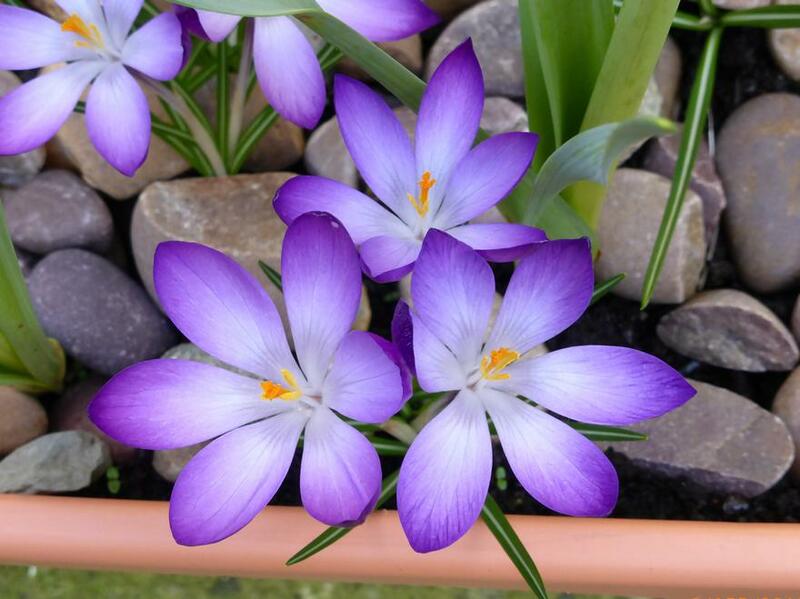 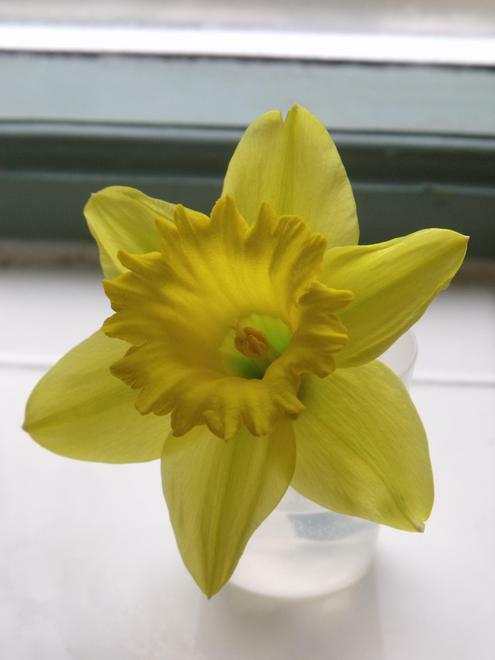 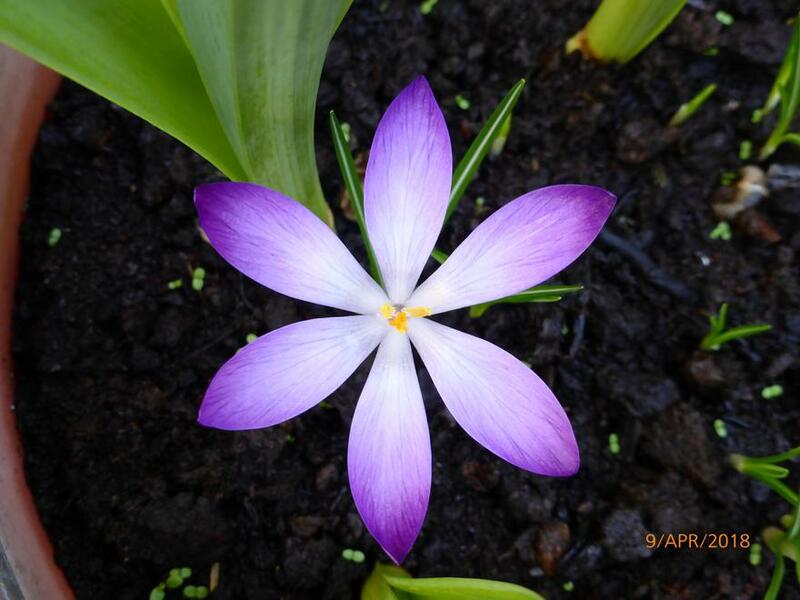 When the bulbs flowered in Spring they looked beautiful and attracted bees and other insects.